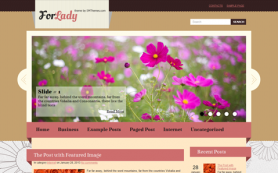 The interface of this women WordPress theme enchants at first sight. It's contemporary, mod and precipitous like Her Majesty Woman nowadays. 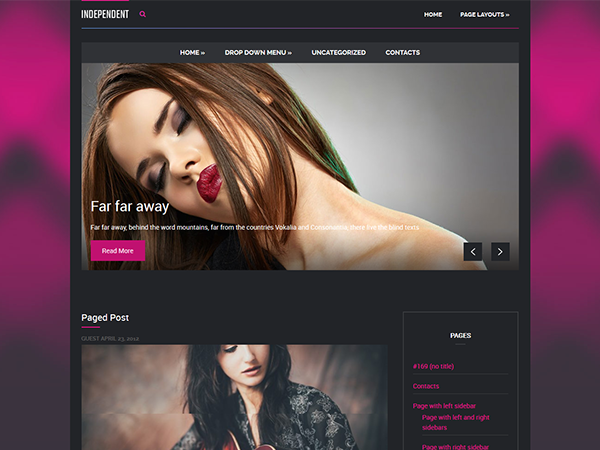 Therefore the structure of Independent is rather tenable and sound: in the header there are a top and main menus and a slider; the body is filled with recent posts and featured images; the footer contains relevant data. Set up a website of your dream taking this WordPress theme for free or buying its link-free version to eхpend the boundaries of the possible for your business.